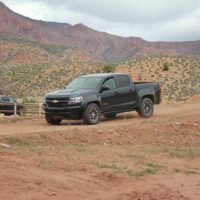 Three years ago, General Motors re-ignited the mid-size truck segment by bringing back the twins. 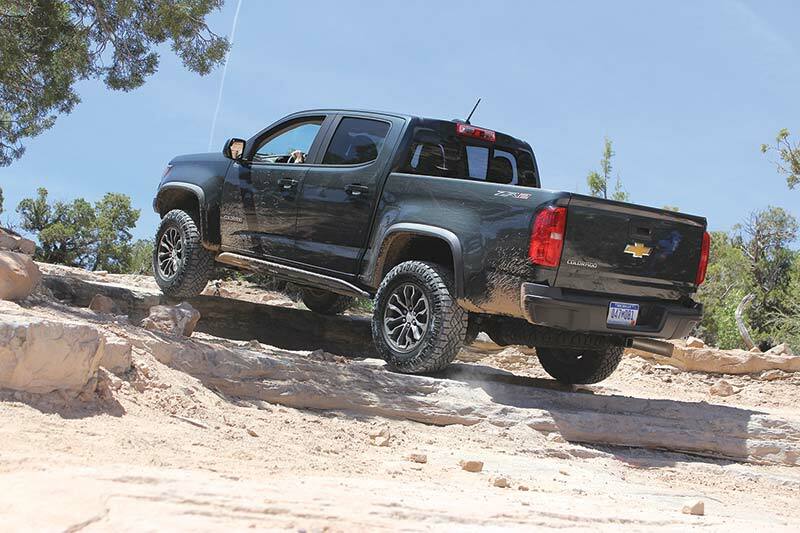 The GMC Canyon and Chevy Colorado proved, in short order, that the demand for these smaller trucks existed. Ford, Mazda, Ram and GM had all dropped out of this niche and claimed the demand had dried up. 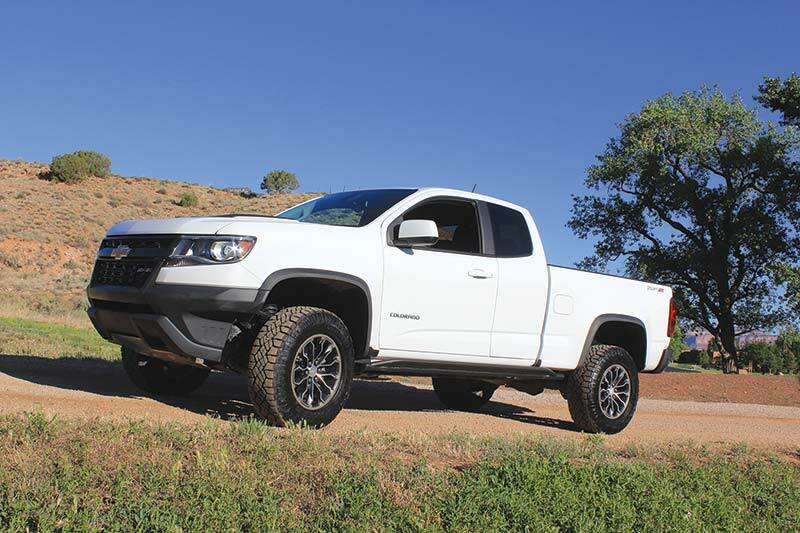 However, Toyota and Nissan kept at it and between Tacoma and Frontier, owned the segment and those sales rose. Why? Because the midsize market never went away – there just weren’t many options for customers who wanted them. Thankfully GM woke up. 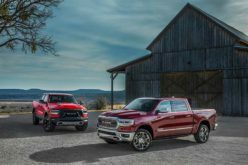 (In the meantime Ford, late to the party, has announced the return of the Ranger next year). 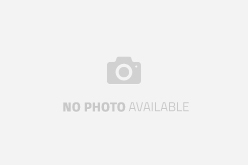 But they didn’t just re-introduce the twins; they made them better and then upped the ante even more by bringing a diesel to this new chassis just last year. 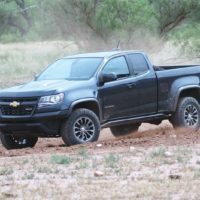 So, with building sales momentum going into year three of the return, they’ve decided to top the topper by building an off-road version of the Chevy Colorado called the ZR2. 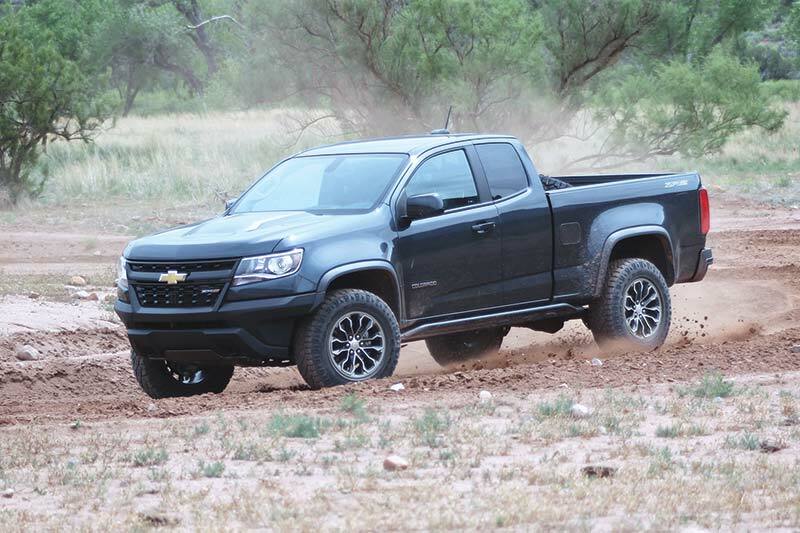 The ZR2 is equipped with the standard 3.6-litre V6 with continuously variable valve timing, direct injection and Active Fuel Management (cylinder deactivation). It drives a Hydra-Matic 8L45 eight-speed automatic transmission. 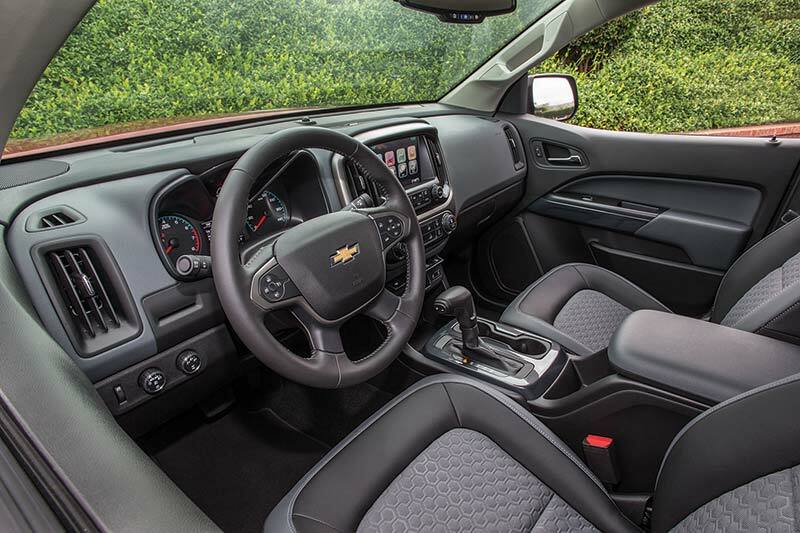 However, you can opt for the available 2.8-litre Duramax diesel engine. This costs more; however, it does tow more. Interior appointments are the same as the standard Colorado with the exception of special badging, such as ZR2 logos stitched into the head restraints. 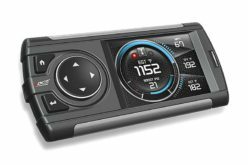 Also available this year is the Chevrolet MyLink radio with 7-inch-diagonal colour touchscreen. 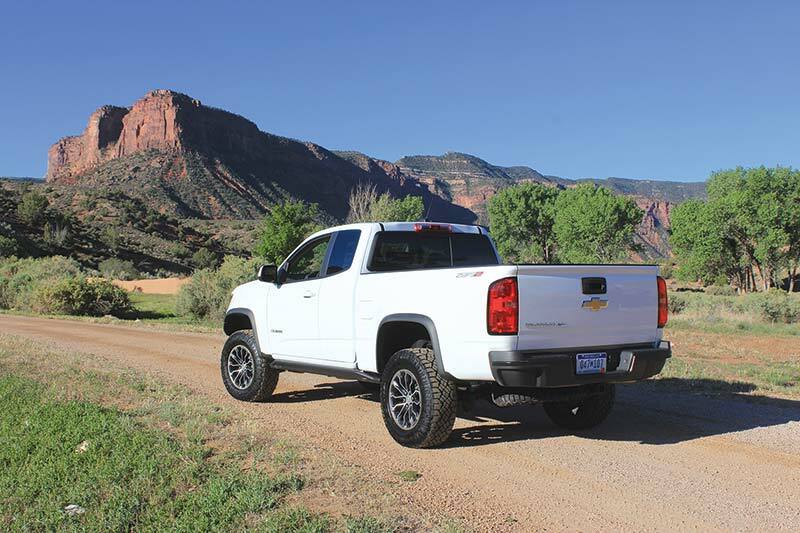 But the truly exciting news about the ZR2 version of the Colorado is that it is not just a paint-and-decal package. 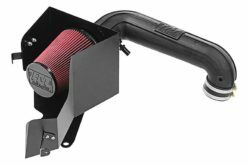 The tech in this truck is specific to the job it was created for – and in the case of its Multimatic Dynamic Suspensions Spool Valve (DSSVTM) damper technology, is unique in the marketplace. 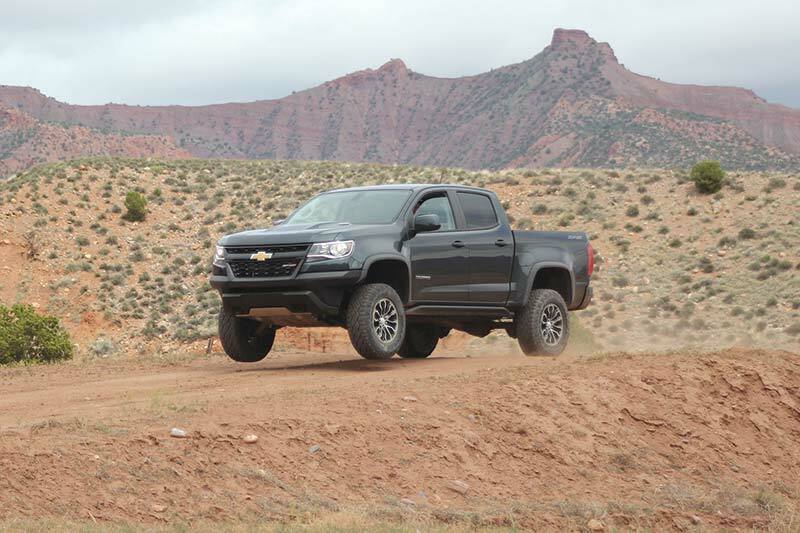 Here is a short list of the components that make this truck an off-road beast. 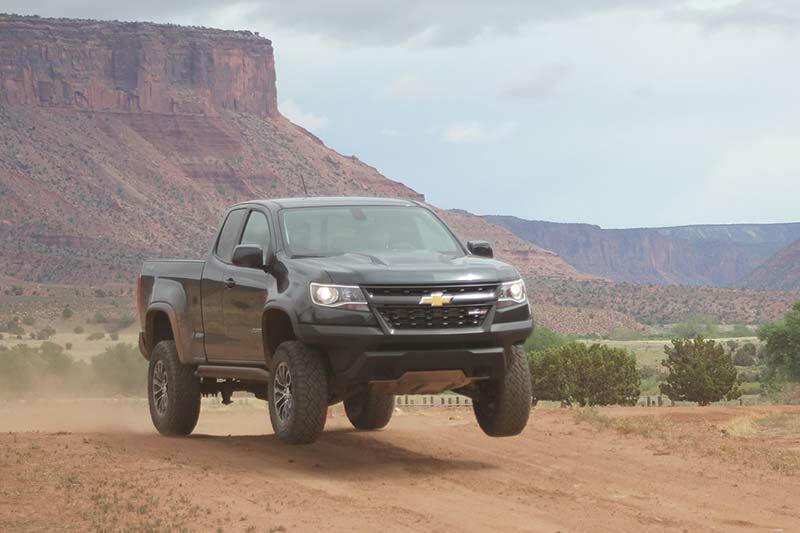 The electronic lockers, body lift, aggressive tires and two-speed transfer case are what qualify the ZR2 as the real deal when it comes to off-roading. However it’s the Multimatic suspension that currently makes it unique and so very good at speed off-road. What’s unique about the Multimatic system is the use of pre-tensioned spring-loaded spool valves that control the flow of oil in and out of the shocks. In a nutshell, these shocks respond at various rates (in milliseconds) to how hard or soft hits to the shocks are. 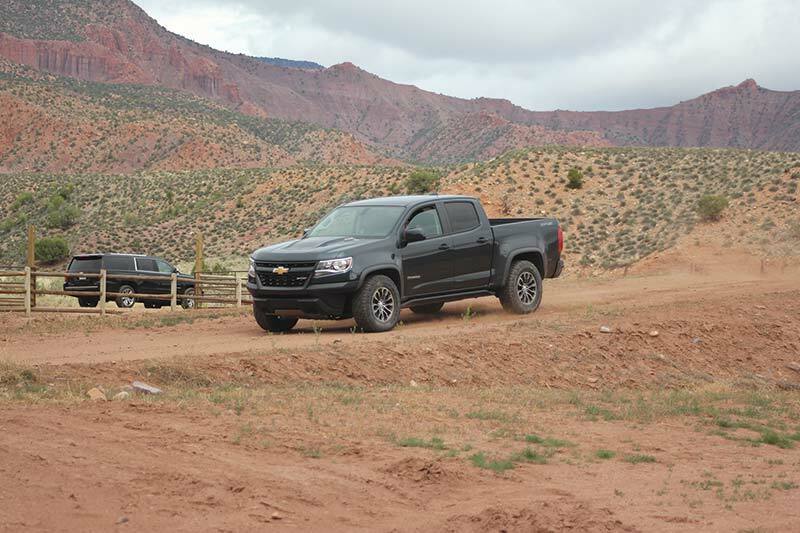 For example, the range is so wide that on-pavement, the truck feels firm and controlled – but not at all overly stiff, as you might imagine off-road shocks might feel. At the other end of the spectrum, coming off a jump where all four wheels left the ground, the impact was soft and controlled. This is the beauty of the Multimatic setup – it does it all, making an off-roader a pleasant daily driver as well. It should be noted that Multimatic is a Canadian company. 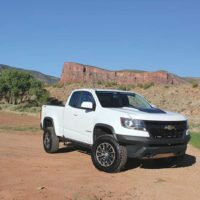 Even at a distance, the ZR2 is obviously different from the standard Colorado. 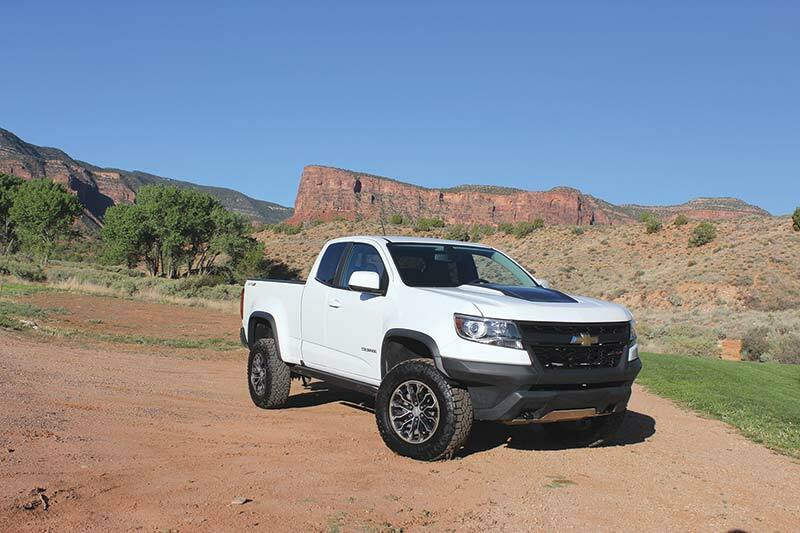 It’s wider (3.5-in over a standard Colorado) and features a more aggressive stance. 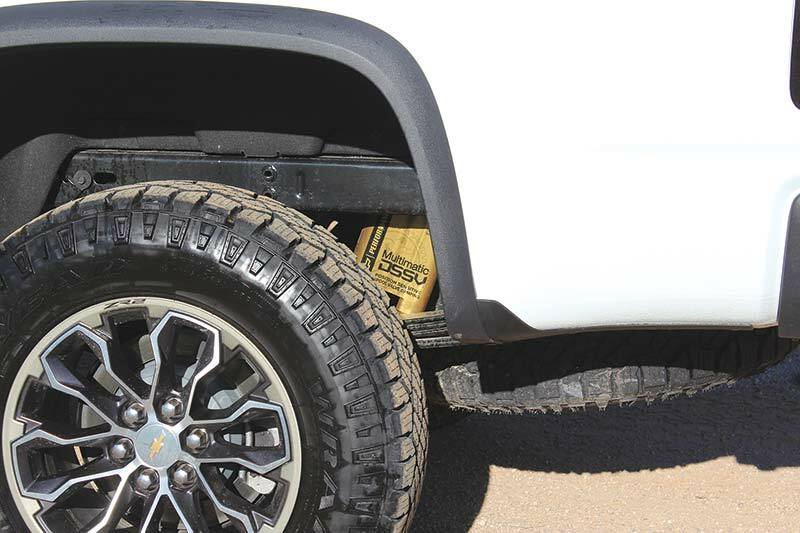 The fenders also bulge outwards to protect the paint from the mud and stones that the 31-inch Goodyear Duratrac off-road tires are going to fling. 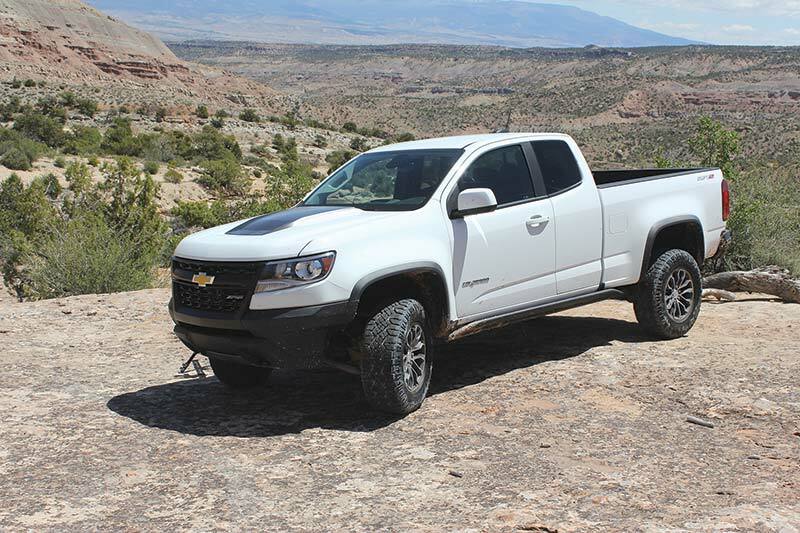 The ZR2 also boasts an aggressive grille and hood, with a black power-dome insert. 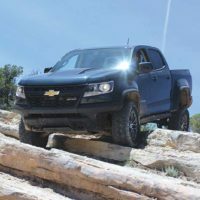 The real clue to its off-road ability, though, comes from the front and rear bumpers that are chopped and pulled up and back for better obstacle clearance. 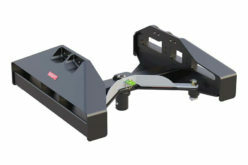 Along the body, you find a functional body-side rock guard, while underneath, it has aluminum skid-plates, and heavy-duty suspension and steering components. 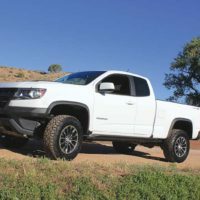 The ZR2 frame is lifted two-inches and it runs 17×8-inch aluminum wheels, in a pattern exclusive to the ZR2. If you do roll underneath the truck to take a look (which I did), you’ll note that all the vital bits (the exhaust in particular) are nicely tucked up above the frame rails. 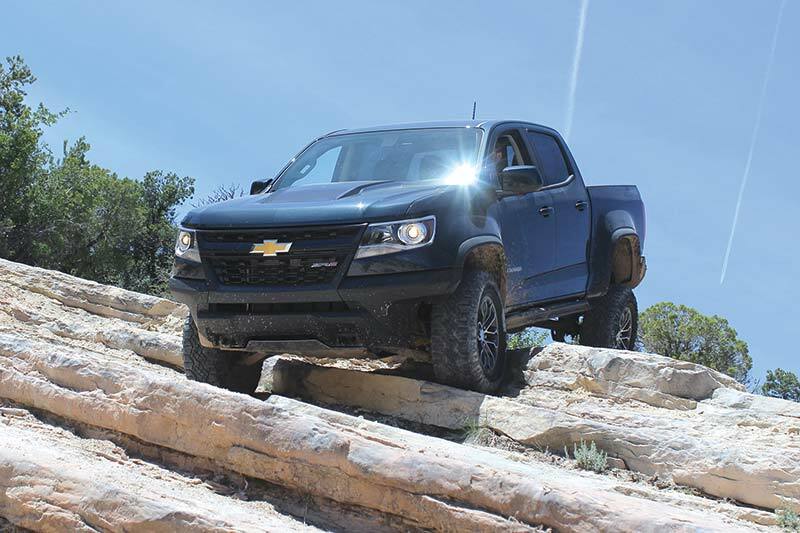 If you contact rocks or debris off-road, it will be hitting steel, not running gear. 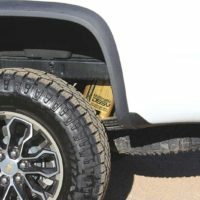 If all these special modifications aren’t quite enough for you, an available option is a bed-mounted full-size spare tire that screams – Hey! This is a desert racer. Coming up to the first table-top jump on the dirt track, my right-seat factory chaperone called out, “slower, SLOWER” – but by then we were airborne. I braced for the impact, expecting it to jar my spine. But that didn’t happen. The truck landed and the suspension compressed, slowing the weight of the truck softly. In fact, that’s the only word that fits this landing – softly. I did not bottom out, I didn’t rattle my teeth and the truck maintained a straight and level attitude, and I was in control throughout. Wow. Despite hitting the jump at over the recommended speed, the Multimatic spool valves and dual reservoirs saved my bacon. The rest of the Trophy Truck course we were using really highlighted the strength of the suspension components and grip of the tires as I powered through the turns with all the electronic nannies turned off. I drove the 2.8L Duramax diesel around the track first and the torque output of this engine tore up the dirt. 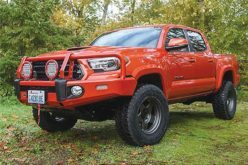 This muddy introduction to the truck was followed up with on-pavement driving, and apart from a bit of “singing” from the Wrangler Duratrac tires, you’d never know you were driving a highly modified off-roader. Its road manners are gentle and light. You can easily drive this truck around town all week, and then bash the hell out of it on weekends. 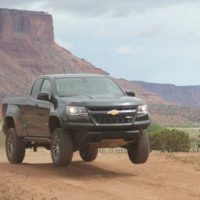 Kudos Chevy. 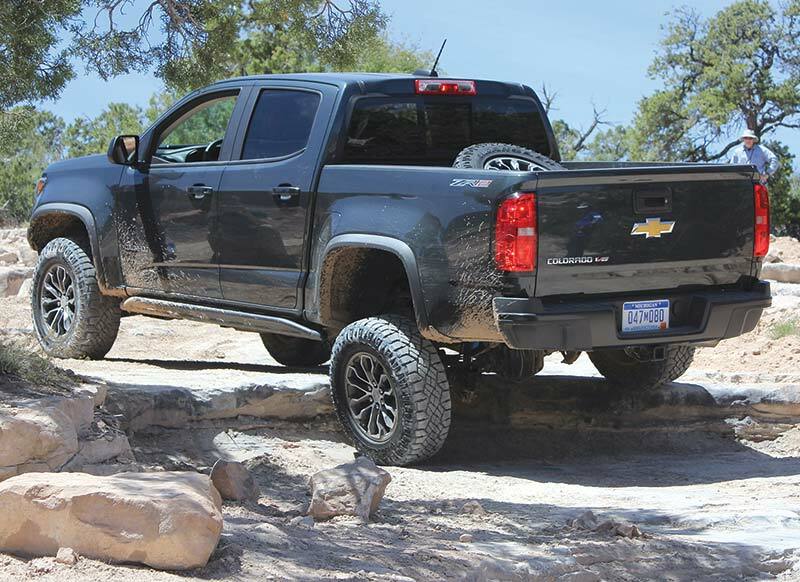 The last segment of the test was rock-crawling. This pursuit requires ground clearance and sever approach and departure angles to keep the body panels from getting bent. It’s also a low-speed exercise that requires precise steering and control. 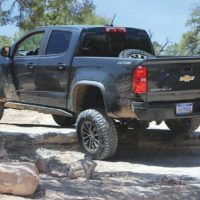 My feeling was that the ZR2 was in its happy place climbing the rock ledges. 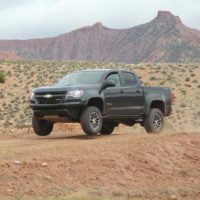 The ZR2 is not for everyone – that much is obvious. 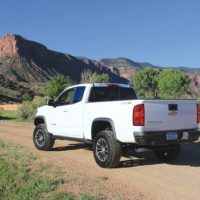 But if you are the buyer who appreciates the character traits found in this version of the Colorado, chances are you’ll become a devoted fan very quickly. 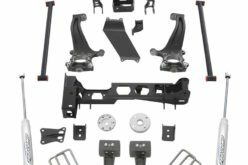 The single best feature on the truck is the incorporation of this Multimatic suspension; it gives the type of performance that (to date) can only be found in the aftermarket. However, when the factory builds the truck, you are getting the engineering that mates all the components of the truck into a single package. This high-performance, off-road ZR2 trim level comes with a starting price of $44,215 plus a $1,700 destination freight charge. 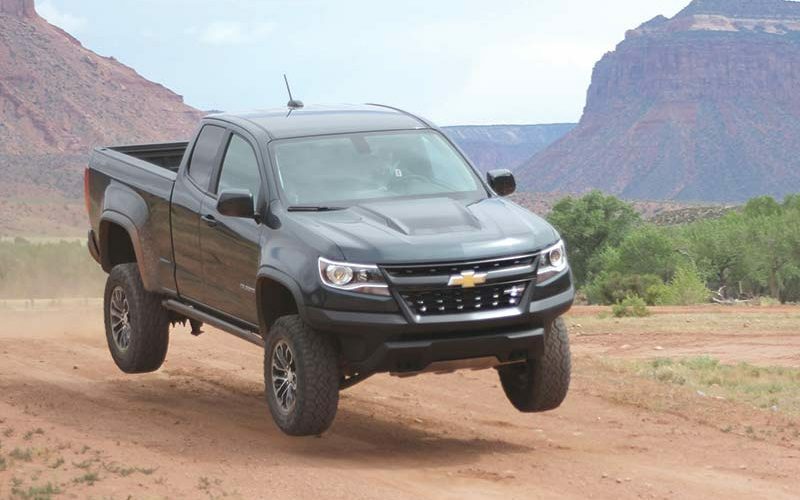 Keep in mind, though, that although this truck leans towards off-road performance, it is still rated to tow up to 5,000 lb and carry a payload of 1,100 lb, making it all-week-long usable. 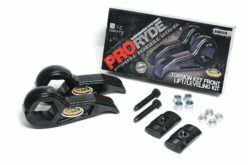 Trucks are available at dealers now.